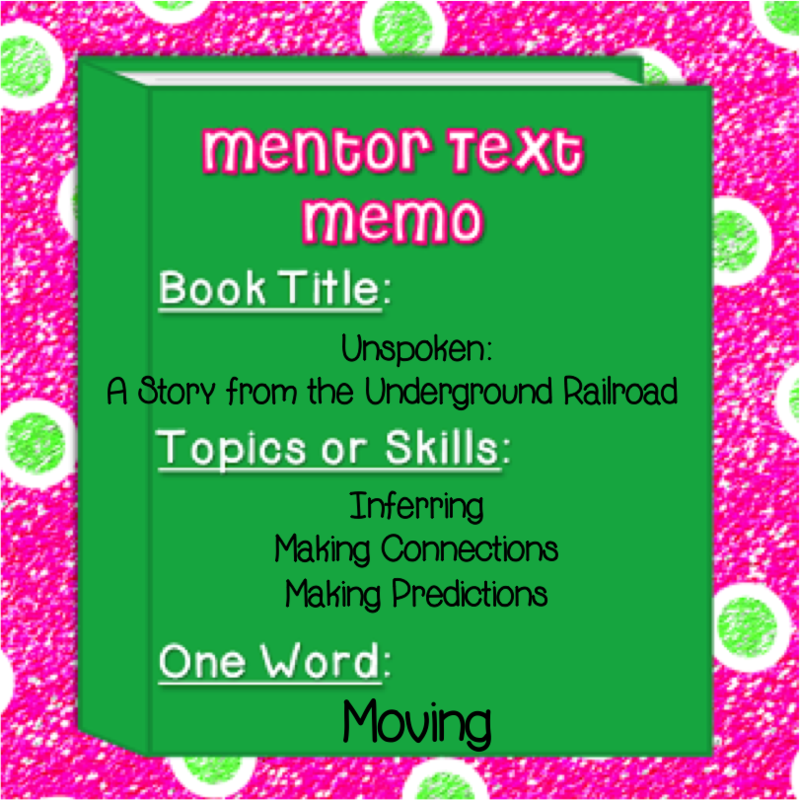 On this beautiful spring day here in Ohio I am linking up with the Collaboration Cuties for their awesome mentor text linky! Be careful, we're not sure if it's contagious yet! It is not uncommon for me to go shopping for ANYTHING and come home with 1-20 new books. So what could be better than a linky that will give me more book ideas and let me share mine?! The story follows a young farm girl who discovers a runaway slave hiding in the bark. Her facial expressions show her startled and frightened reaction. The pages boldly display her internal struggle with whether to help the slave or not. I use this book in SO many ways in my classroom. 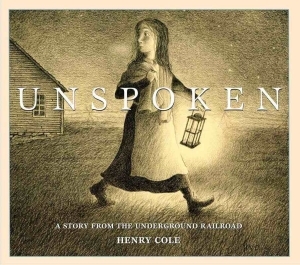 With our fourth grade Social Studies curriculum it is perfect to tie it in to when we begin talking about the Underground Railroad and Civil War. AND it is so easy to practice so many ELA concepts. My students sit around me in a circle. First, we look at the cover and make predictions as to what the book may be about. We predict who the girl is, we make inferences as to what her facial expression and body language tell us, and we make connections to what we know in the picture. Then, we do a quick walk through. We look through the pages together, and students jot down what they think is happening in their writing spirals. 1.) What we can infer is happening. 2.) What we think will happen next. 3.) What connections we can make to how she is feeling or what she is going through. There is power in words, but there is a true power to the words our students can put to such moving pictures! This book will be great when we study Early Settler in Upper Canada - thanks so much for the book suggestion and teaching ideas. Ah! I love this! And I have the same sickness. I have way too many books. Wait, I don't think that's a problem. :) I'm adding this book to my Amazon wishlist ASAP. I have not ever heard of this book and I HAVE TO HAVE IT. I love the way you use it and even though we don't teach about the civil war in our 4th grade curriculum, I would love to use that book!!! Thank you sooooo much for sharing it!!! I just won this book a few weeks ago from our book fair-I, too, knew I could use it in so many ways, it just has that look!! Thank you for sharing such a detailed post-love it! Awesome sauce! I just pinned this book earlier today. We are about to studying the Civil War later this week. I love Henry Cole. He came to our school last year for an author visit. He's a wonderful presenter and lives locally. I just discovered this book at our last book fair. It is beautiful! Have you read his chapter book called "A Nest for Celeste"? SO GOOD!! I the book disease too! LOL!